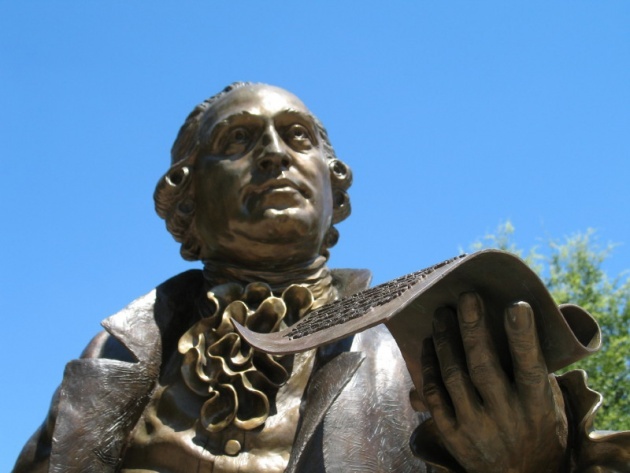 George Mason set the tune even as Elton John had recorded "Philadelphia Freedom"! George Washington led the Armies. Thomas Jefferson crafted the Declaration of Independence. Benjamin Franklin led the diplomacy that made France an American ally at the critical point. Abraham Lincoln a century later led America to live up to its rhetoric at least in part by ending slavery. It was though George Mason who crafted the original ideas and most critically refused to support signing of the US Constitution until it incorporated the Bill of Rights. (The Bill of Rights were not in the original body but were adopted as the first 10 Amendments of the US Constitution). Most Americans have not heard of George Mason. He did not hold high office in the new United States and was more mentor to America’s Founding Fathers (including to George Washington, Thomas Jefferson and James Madison). 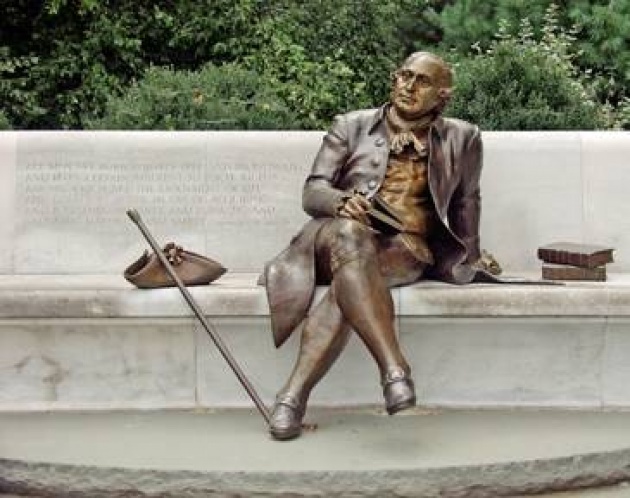 There is a university named in George Mason’s honor and ironically during the George W. Bush Presidency, a small memorial, more like modest garden, was dedicated in his name just in the shadow of the Jefferson Memorial. It was though Mason’s words and themes that inspired Jefferson’s writing of the Declaration of Independence and particularly the latter Bill of Rights. In 1776 Mason had drafted the Virginia Declaration of Rights that incorporated key provisions including the freedom of expression, freedom of religion and the separation of church and state. Although not frequently discussed in context of the Founding Fathers, like many of these great intellects, Mason was I believe deeply shaped by the Enlightenment Age. While many of the Founding Fathers were nurtured in opportunity that America’s open territory offered, their ideas were as much a product of European Enlightenment, (which ultimately was traumatized by the contradictions of the French Revolution and rapidly rising Industrial Revolution). As many of his Founding Father contemporaries, George Mason was also a contradiction. I would argue though that this was not hypocrisy. They were aware of the decadence as well as evil of slave ownership. He described slavery as a "slow poison…daily contaminating the minds and morals of our people." We may have valued the Founding Fathers ethics more if they had freed slaves. George Mason and others sought some form of transition. Mason sought to abolish the slave trade, but not slavery. Of course, America at that time fell short on several fronts including universal suffrage, particularly women. 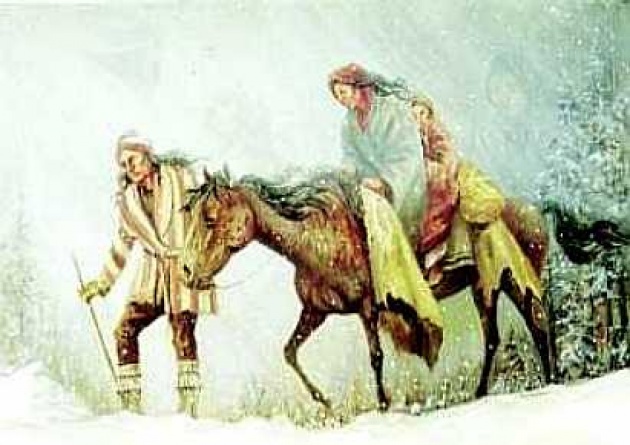 In my view, US politics and principles would further erode for almost a century as the Native Americans faced extermination ("Trail of Tears" below), and discriminatory laws became ingrained in abuses against Black, Asian, Hispanic and even Catholic Americans. George Mason though proved that an idea promoting the equality of humanity, and reason over emotion and prejudice, can sustain even the contradictions of its biggest supporters. We all carry the seed of bias and intolerance but also the capacity to see the light regardless of how distant from our time.